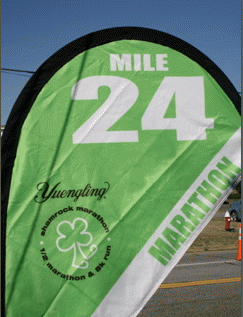 The 38th Annual Yuengling Shamrock Marathon was held in Virginia Beach, VA, on St. Patrick's Day weekend, March 19-21, with approximately 23,000 participants. A variety of events included the marathon, half marathon, and the 8K run on the boardwalk as well as several youth events. 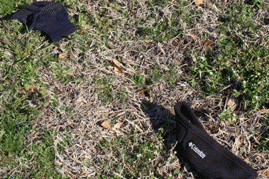 The main event, the Shamrock Marathon Run/Marathon Walk, began at at 8 a.m. Sunday. The 26.2 mile course runs through the resort area of Virginia Beach and then continues through Fort Story past the historic Cape Henry lighthouse, the oldest in the country. The race is a 2011 Boston Marathon Qualifier. 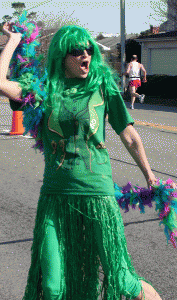 Costumed leprechauns, green cheerleaders and blaring boom boxes offered enroute support to the runners. 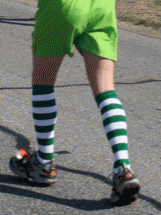 The Shamrock Marathon was founded in 1973, with 59 participants. In 1982, the 10th annual Shamrock Marathon was named the Largest Sporting Event in Virginia, and by 1992 Shamrock was recognized by Runner's World magazine as one of the Top 20 Marathons in the Country. 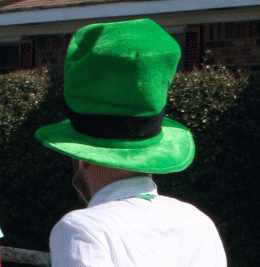 In 2006 Shamrock won Runner's World's award for Best Schwag Perks and Prizes Worth Bonking For. Since 2003, 32 national records and three world records have been set at Shamrock Sportsfests. Thus far, three participants have qualified for the Olympic Trials. The Marathon boasts many levels of "green." Recognized by Runner's World as an Official Green Race, it features TFC Recycling containers at the start-finish line and near the 53rd Street support station. Last year, Shamrock Marathon participants recycled approximately 1,490 pounds of recyclables, the equivalent to recovering more than 65,120 plastic water and energy drink bottles. Saturday, March 20th featured the 8K Middle School Challenge and Operation Smile Final Mile Start. More than 2,900 elementary school students from more than 150 schools across the U.S. participated in the fundraiser for Operation Smile, a worldwide children's medical charity. Founded in 1982 by Dr. Bill and Kathy Magee, Operation Smile, is headquartered in nearby Norfolk, Virginia. Since its founding, Operation Smile has treated more than 145,000 children born with cleft lips, cleft palates and other facial deformities and the organization has a presence in more than 50 countries.